If there’s one tool that every search marketer should be required to know, it’s Google Analytics. The most widely used web analytics service, this free yet powerful tool enables marketers to track where a website’s traffic is coming from. Aside from traffic data, we can get a lot more out of Google Analytics. With its wide range of features, it helps to know which functionalities you should be utilizing. 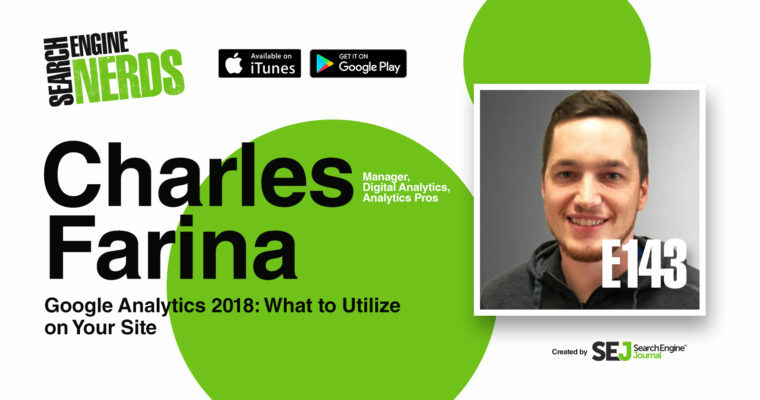 For episode 143 of Search Engine Nerds, I interviewed Charles Farina, Digital Analytics Manager at Analytics Pro, to discuss the valuable features within Google Analytics that are worth taking advantage of. 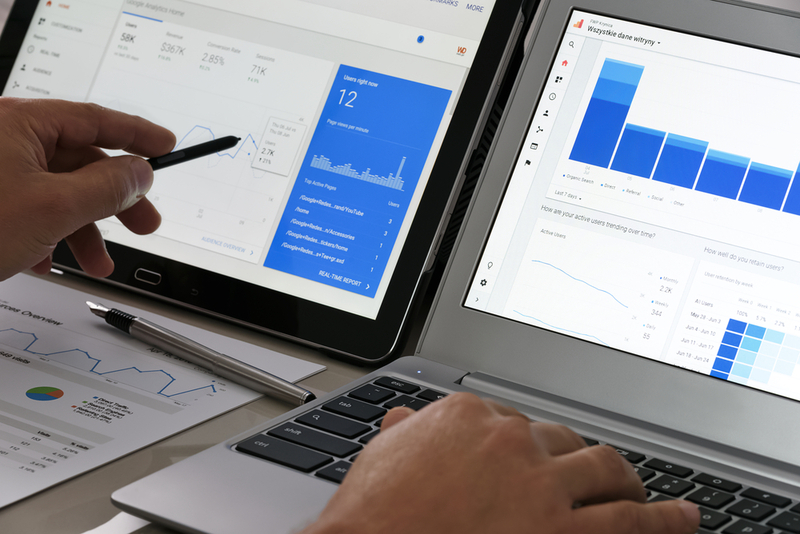 Farina also shares important insights on tracking audience and attribution data, as well as the benefits of Google Analytics 360 Suite and its soon-to-be-released product, Google Attribution. It seems that you can now set your analytics up to view everybody based on your own target demographic audience. Is that something that you’ve used a lot? Charles Farina (CF): There’s a number of audience solutions in the Google Analytics stack. What’s exciting is there starts to be more and more overlap between some of the advertising products and Google Analytics. In the free version of GA today, anyone that’s using that product who also uses AdWords has the ability to share audiences from GA to AdWords. That’s a huge opportunity that I find confusing because there’s not a lot of adoption. It’s a way to actually make money and to improve your ad spend and your ROAS. How does the overlap between Google Analytics and AdWords work? CF: I think the easiest way to describe it is when most businesses get started with digital advertising, they usually start with remarketing. What ends up happening is you have to add pixels or tags to your website to build those audiences. Then AdWords would usually refer to those as either the AdWords pixels or AdWords conversion tags. Now, the benefit of having Google Analytics is all of us have a limited ad budget. We don’t have enough budget to show ads to everyone that we would want to. The more engaged someone is, the more likely they are to convert. If you can grab those engaged users who haven’t yet done what you’re looking for them to do and then target them first, it’s going to be more effective than just targeting everyone equally with no thought behind it. You can quickly find all of these different use cases to more effectively spend and target your digital ad spend. It’s a no-brainer because you don’t have to keep going back to IT or your developer to add tags. It’s all natively linked together. What’s going on when it comes to attribution in Google Analytics? CF: Attribution is just becoming more and more challenging for marketers and businesses to solve. I think one of the biggest challenges that exist is the amount of devices and experiences that we use to interact with brands is only increasing. Google Analytics, even the free version, has a lot of really robust and strong attribution capabilities, but they largely center around a single device because we don’t really have a great way to track people across devices. If you’re just getting started, the free version of Google Analytics has a series of reports called Multi-Channel Funnels. How long does it take my users to convert from when they first see my website to when they actually go through to that conversion? How many touches happened? Is it a single visit? Is it multiple visits? You’d have to set it up before you can start tracking that going forward, correct? CF: Yes. The setup is what you should have done when you first created your Google Analytics account. I would argue, if you don’t already have it, you haven’t actually set up Google Analytics. 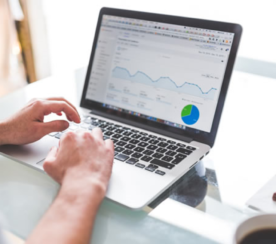 One of the first things that you do when you go into Google Analytics and you start using it is you set up your goals to measure the things on your website that matter. Then the next thing you do is you set up your campaign tags and your campaign strategy and Google will track a lot of that out of the box. What is the new offering that Google is providing in the paid version of GA? CF: Google is bringing something brand new which is a part of the Google Analytics 360 Suite. Now, there’s Google Attribution which is solving some of the challenges on cross-device attribution. 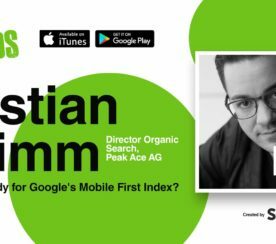 In this product, Google is going to take a lot of the capabilities in Google Analytics – that ability to see all the touches that led to an outcome. They’re going to allow you to tie it to Google’s cross-device graph. Google has the largest network of logged in users of anyone other than Facebook… Cross-device graph is effectively their users who are logged in to Gmail, Chrome, Android, and YouTube. With this, Google allows us to connect their cross-device graph to our on-site and digital conversions that are happening. They’re bringing a data-driven attribution model. It’s massive for what that’s going to do because there’s no real way to do that anywhere else today. 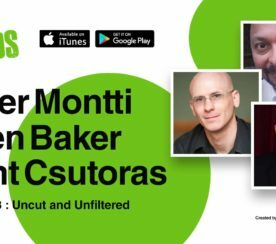 There’s a lot of value being thrown into this product to help marketers better understand what’s actually happening and what users are actually going through when converting. What’s exciting about it is that it’s going to give us a lot of the out-of-the-box reports to show us what’s happening without needing hours and hours to go in and connect all of our data together. When it comes to analytics, where’s the spot that people really should be focusing and learning the most right now? CF: The reality is if you have a small website – and you’re still focusing on building a product and you only have 10 conversions a month – attribution is the last thing you need to be focusing on. You should be focusing on your product strategy and the things more upper funnel. Where attribution starts to make sense is when you’re actually putting the time behind driving traffic to your site and you need to know what’s the most effective use of your time. It’s definitely for the more advanced-sized. I think the first place to start in summary is you start with Google Analytics, where you get some basic reports. The next place to go after is Data Studio. What is the difference between the free version and the paid version of Google Analytics? The free version of Google Analytics has limits. The major one, especially if you’re a larger website, is your data is going to get sampled when you go in and you do some deeper analysis. On the enterprise version, it’s not sampled. There’s another ad stack called DoubleClick. It is like an agnostic media platform and there are direct integrations with audiences and reporting. There are additional features like the data-driven attribution model that we talked about today, as well as custom funnels. What’s one of the coolest little tricks or hacks or things that you like to use? CF: I’ve been using a tool called SessionCam which has an integration with Google Analytics. With GA’s integration with SessionCam, I can just click a button and it will show me the video of what an individual user did from Google Analytics on my website. It’s an awesome way to connect quantitative and qualitative data to figure out what’s actually going on behind the data.